SmoothMove Moving Box is Fast, simple set-up plus secure closure without using tape. Strong, durable hand holes for comfortable moving and lifting, Small moving boxes are designed to hold smaller, heavier items. 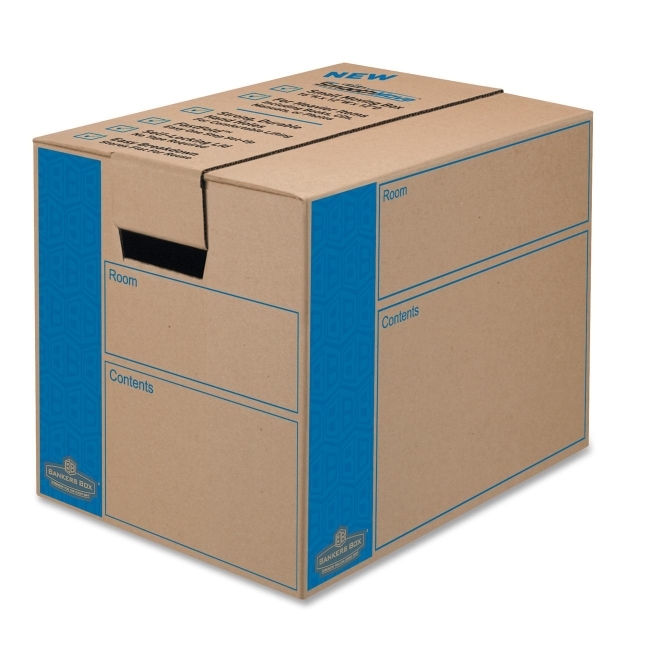 $57Bankers Box SmoothMove Shipping Box - 19"
$31Sparco Shipping Box - 20"
$33Sparco Shipping Box - 4.75"
$54Sparco Shipping Box - 10"
$34Sparco Shipping Box - 12"
$34Sparco Shipping Box - 14"
$58Bankers Box SmoothMove Shipping Box - 16.63"
$34Sparco Shipping Box - 8"